Rite Rate Heating and Cooling is a heating and air conditioning company in Denville, NJ that can help with your heating, air conditioning, and plumbing problems. 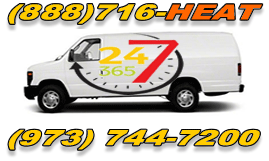 We are available 24/7 for plumbing, heating repair, and air conditioning emergencies. 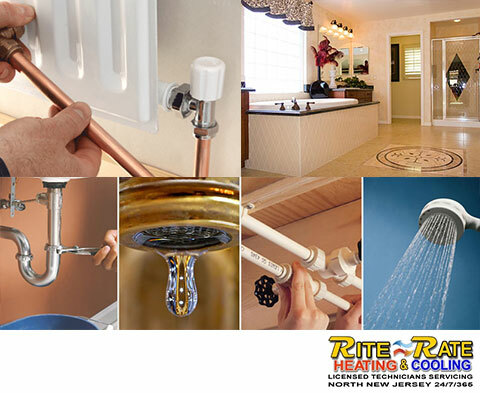 Rite Rate offers affordable repairs, replacements, and installations all of which are available for residential and commercial customers. Our team will make sure that your heating, air conditioning, and plumbing systems are in order and ready for the long haul. We have a staff of plumbers and HVAC technicians fully licensed and bonded in order to handle all your plumbing, heating, and cooling needs. Whether you need a heating company to immediately fix your boiler or a plumber to unclog your toilet, give us a call! No heat? No problem! Rite Rate technicians are experienced in heating repair in Denville, NJ and can get your system up and running in no time! As a heating company, we make it our priority to be available for 24-hour emergency heating repairs because your heating system can fail at any moment. We can replace worn out or damaged parts to make sure your heater continues working efficiently. If you need a new furnace, boiler or hot water heater, we also offer affordable heater installations. Should you experience problems with your heating system, don’t hesitate to call us for heater replacements, or heating repair in Denville, NJ! It’s the middle of summer and you air conditioner unit just gave out! Rite Rate is a 24-hour air conditioning company that provides air conditioning repairs, replacements, and installations. Call us anytime in the midst of an emergency and we can help. At Rite Rate, we service all makes and models, as well as various types of air conditioners such as central air conditioning, AC condensers, forced air, packaged air, and heat pumps. If you need an affordable air conditioning company, call Rite Rate! We can repair, replace, and install your toilet, sink, sewer, drain, pipes, sump pump, or shower. In the event of an emergency, we are available 24/7 for any plumbing repair! We can help in the event of a leak, clog or just plain break down. Our company also offers affordable installations and replacements of any plumbing fixture. From the kitchen to the bathroom and frozen pipes to sewer cleaning, we do it all! There’s no plumbing job too big or too small for Rite Rate.If you need a plumber, air conditioning, or heating company in Denville, NJ, call Rite Rate today!